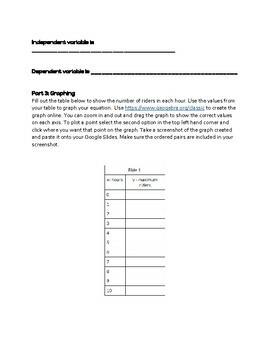 Use this project as a summative assessment over two variable relationships! 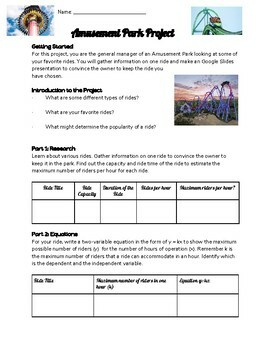 Students have fun researching their favorite amusement park ride then demonstrating the data algebraically, graphically, and in words! Rubric included! 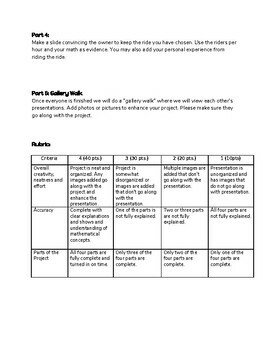 This project also utilizes Geogebra, a free online graphing resource.